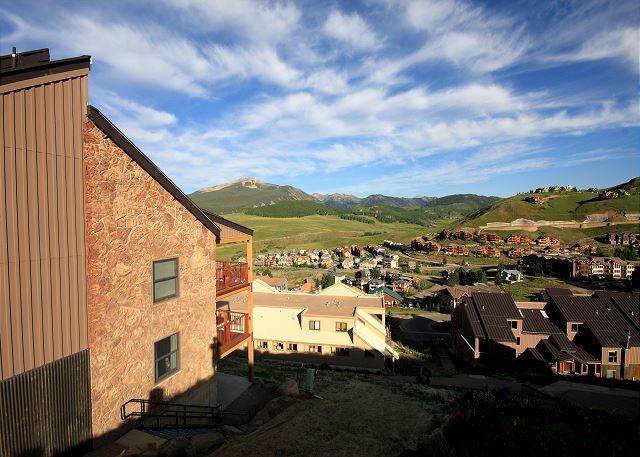 This condo has easy access to the parking lot and ski slopes being at the slope end of the building. There is plenty of seating in the dining room and living room, making it perfect for a large family group. It has an eclectic blend of antique and modern and a great collection of local art and photography. There is a great library of books for readers, too! An extra television is also in one of the queen bedrooms in addition to the TV/DVD/VCR player in the living room. The International building is entered on the third floor. Walk down a few steps and you reach I301 on the third floor. But then it snowed another 14” and we felt better. I was very happy with our stay. The condo had plenty of space for 9 people to spread out and not feel crammed in. We used the kitchen for every meal and it has everything we needed to cook. The easy access to slopes was awesome and there is an great hill to do your own sledding! The views were amazing. We utilized the shuttle and every driver was really friendly. The best view of the Rockies! My family of five met a couple other family members for an early summer weekend in Crested Butte. 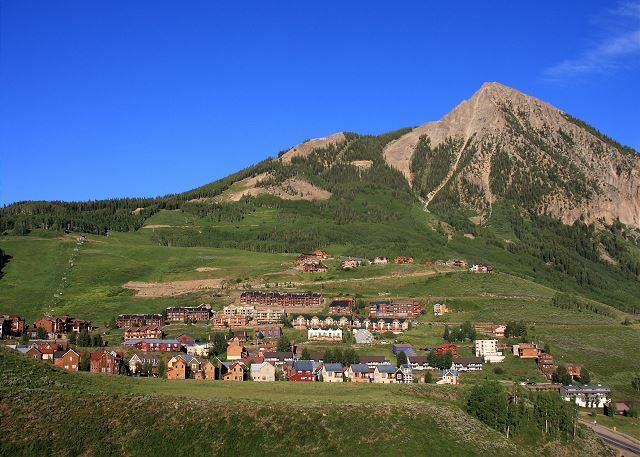 We loved how spacious the condo was and it’s location—perched on the side of the mountain with the most breathtaking view of the mountains and Crested Butte below. The condo is a little outdated but it had everything we needed (except maybe a grill). We were comfortable and that’s all we needed. We didn’t get to meet anyone in the property management staff because the office was closed when we checked in and out. San Morirz employees are very friendly and accommodating.